We work closely with the relevant suppliers to guarantee consistently high quality. 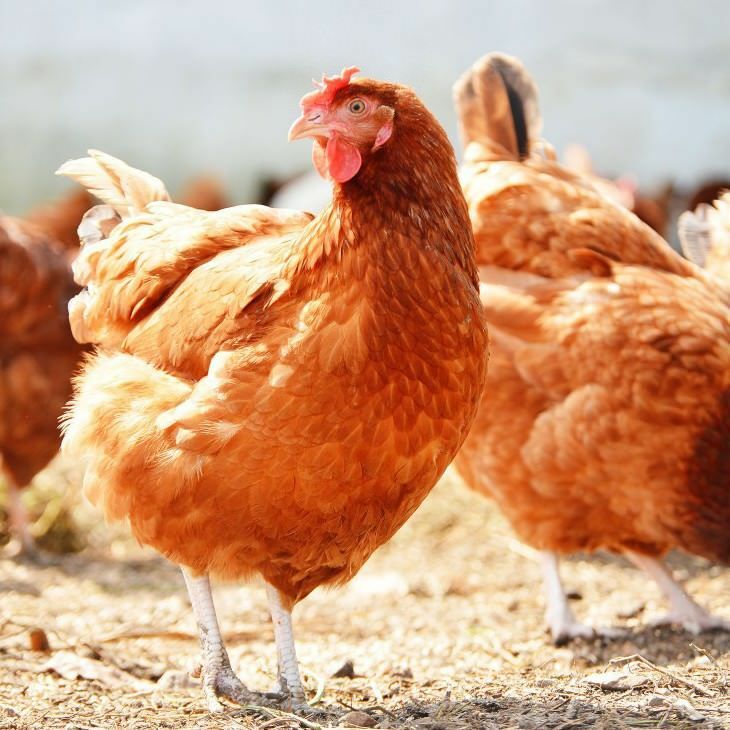 As a result, many egg-production farms have been linked to us for a long time, allowing us to directly influence important quality factors throughout production. Raw goods from our own vehicle fleet are delivered to the central Eifrisch packing centre. After an in-depth inspection, the eggs are transported, checked and sorted based on their production method and weight class using the latest technology. Damaged eggs are automatically rejected. Regular spot checks guarantee the excellent quality of the products. Finally, the eggs are packaged into the relevant small and standard egg trays and prepped for delivery. Our packing centre is also certified to the highest standard by IFS and fulfils all HACCP criteria. Our egg dye works is one of the most modern throughout Germany. Thanks to innovative colouring processes we are able to produce a wide range of colouring options all year round – not just at Easter. Whether marbled, sprayed, striped or rainbow colours: our dye works can fulfil just about every customer requirement. We also use eggs from integrated production where possible when producing dyed eggs. These are cooked at a consistent temperature so that a waxy yolk is left. A nice, even colour effect is achieved by particularly delicate colour application using the roller and spraying method. Eifrisch represents the concept of natural freshness. 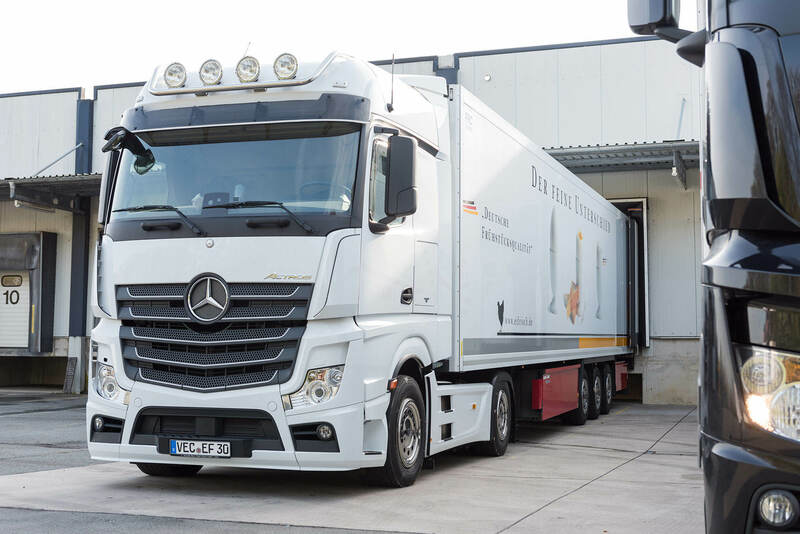 Thanks to our own fleet of vehicles, raw goods are regularly collected from our producers and brought back to the main Eifrisch packing centre. The goods are checked, sorted and packaged there. We are then able to deliver these to our customers throughout Germany within a short space of time. This guarantees maximum freshness and reliable delivery of our products, including for special seasonal highlights. We see ourselves as your trade partner. After establishing long-term partnerships, we are here for our customers at all times. 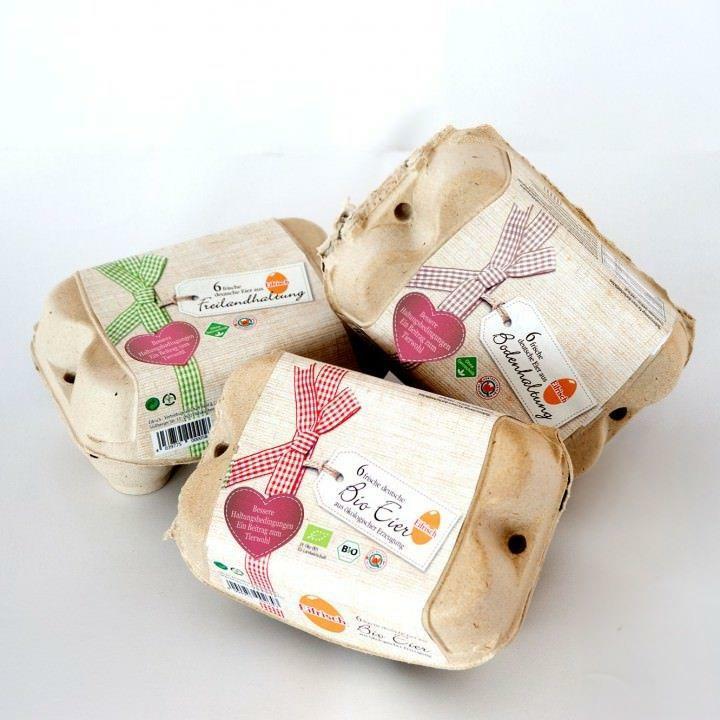 As well as expert knowledge in everything egg-related, we also offer excellent service and support at POS and for packaging design.